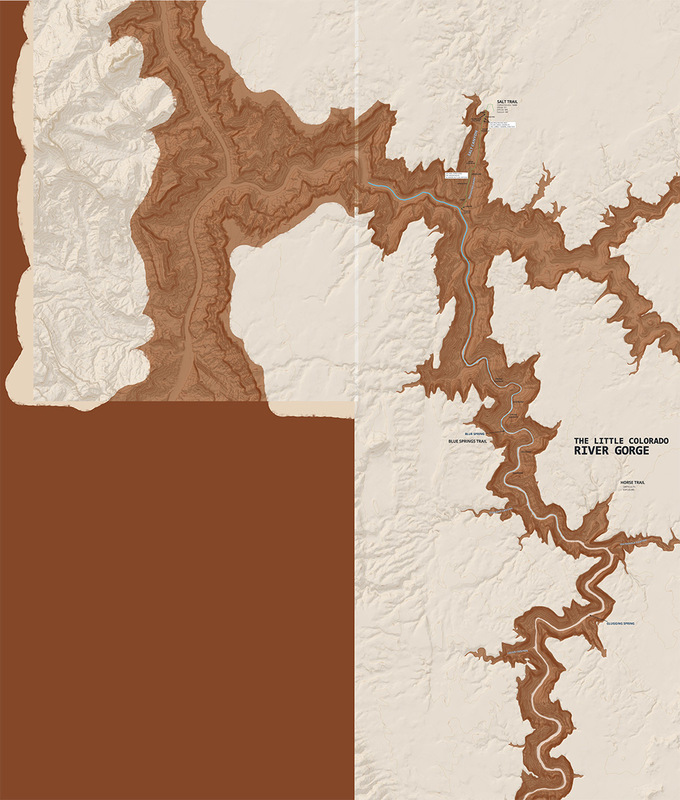 I have been slowly chipping away over the past couple months creating something that doesn’t exist: a map for exploring the Little Colorado River and Gorge. 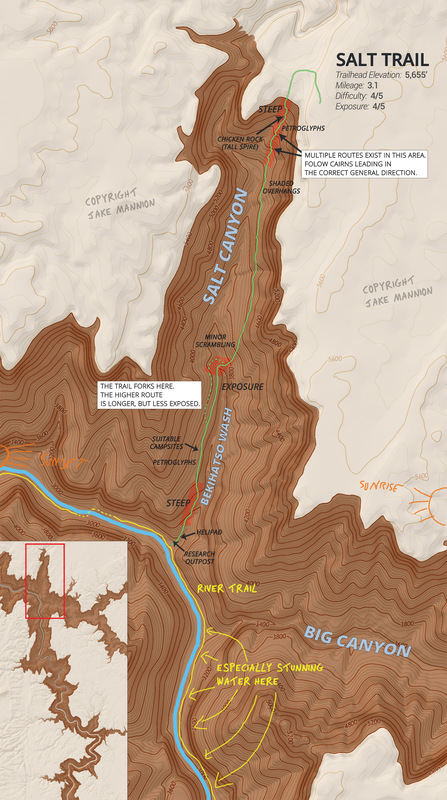 It still amazes me — it’s the largest tributary to the Grand Canyon (a place that sees 4-5 million visitors annually) and a hiking map simply doesn’t exist. Planful explorers (not our type) can get the general USGS topos, and there are fragments of information and trails mapped in obscure books, but there’s nothing comprehensive. The 58-mile gorge remains largely unknown. I don’t expect that creating a map will change that very much. It is incredibly difficult, unforgiving terrain. Those lucky few who reach the bottom are in for a once-in-a-lifetime type experience (when the river is cooperating) but the cost is steep. When it’s finished, it will print out large — probably 5×7′ at this point. I will scale it down for trail usage.